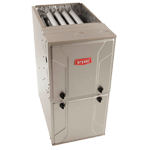 Heating/AC/Heat Pumps – Summit Heating and Air Conditioning LLC. Summit Heating and Air Conditioning, LLC is available 24/7 to service all of your heating service needs. Contact us, day or night, even on holidays, by calling 302-378-1203 for Delaware service, or 410-398-3233 for Maryland service. Or, fill out our contact form here. Before the cold weather hits, it is essential to schedule a tune-up on your heating system. Furnace and heat pump tune-ups should be performed on a yearly basis to ensure your unit is primed to run without failure during the winter months. When you disregard your annual tune-up, your heating system will have to work twice as hard to keep your home warm, resulting in higher energy bills and a potentially hazardous unit. Call 302-378-1203 or 410-398-3233 during the pre-season months to take advantage of our seasonal discounts and specials! Summit Heating and Air Conditioning services both residential and commercial systems! If your business’ HVAC system needs maintenance, repairs, or even a replacement system, we can help. Contact us for more information at 302-378-1203 or 410-398-3233. Your heating and cooling system consumes more energy than any other appliance in your home. Because of this, energy efficiency should be top of mind when purchasing a new furnace, boiler, or heat pump. Summit Heating and Air Conditioning can help you choose an energy-efficient heating system that fits your needs AND your budget. Call us today for a FREE estimate! We provide heating repair services for all makes and models of gas and oil furnaces, boilers, and heat pumps (including geothermal and mini split systems). Our repair services are available 24/7, 365 days a year, including holidays! We use up-front, honest pricing with no hidden charges - ever. Our technicians come with years of hands on experience as well as extensive, ongoing training and will solve your heating problem, whatever it takes! Being without reliable heat, especially during the winter months, can be uncomfortable and dreadful for a number of reasons. Because of the need for heat during that time, we understand your expectations. We expect our home to keep us warm and to be able to operate at the temperature we need it to. When that fails, the initial reaction is to call a heating repair company. It’s important to have heating companies service faulty equipment as they are able to identify the issue and ensure that it is properly fixed. What is the importance of maintaining your heating services and hiring heating companies to complete them? Regularly servicing and maintaining of your heating systems will ensure they are working as efficiently as possible. Doing so will help you save money in the long run, as proper service will keep your heating system operating at its best performance level and potentially energy efficient as well. Faulty wiring, loose wires, and broken gas valves can pose serious risks to the safety of your home and family. With regular, routine maintenance, the chances of catching these issues early on can help prevent a more serious situation. Failing to have your heating system serviced can void the warranty on them. When this happens, you will then be responsible for all heating service costs. Regular maintenance will not only prolong the life of your system, but will also preserve your warranty coverage. At some point your heating unit will need to be replaced. Regular service will give you time to save money to ease the purchase of a new heating system when it’s needed. The more time you have to prepare, the better off you’ll be when installation time comes. Knowing that your heating system is running efficiently, properly, and safely will give you peace of mind, especially during extreme winter temperatures. Q1. What should I do in case of an emergency? If you are having a medical emergency call 911 immediately. If you are smelling gas please refer to Q2. If you are having any other emergency relating to heating, air conditioning, ventilation, water heaters, or generators please call us at (302) 378-1203 or for immediate assistance. We are available 24/7/365. Q2. What should I do if I am smelling gas? Do NOT turn any lights on or off, touch any switches in the home, or any other electronic devices as these can all be sources of fire ignition. Do NOT use the telephone inside your home. Go to a neighbor's house or use your cellular phone once you have left the residence and immediately call the fire department to evaluate the situation and determine if the property is safe to re-enter. Once the fire department makes their determination they will likely advise for your gas company to come to the property and locate where the leak is coming from. Once they determine where the leak is you can then contact our office to schedule an appointment for one of our technicians to repair the leak. Q3. What is the average lifespan of an HVAC system? The average lifespan of central air conditioners and heat pumps is approximately 12-15 years. Furnaces can last much longer with proper care, however, technological advancements generally warrant the need for replacement within the same time frame. It is also more cost effective to replace your entire HVAC system at the same time rather than replacing individual units on separate occassions. Q4. How can I extend the life of my system? "An ounce of prevention is worth a pound of cure". To best maintain the integrity of your system you want to make sure that you schedule annual check-ups for both your heating and air conditioning systems; once during the spring season for your air conditioner and again in the fall season for your heater. Also, be sure to change your filter regularly every 1-3 months, on average. If someone in your home has been sick with an airborne illness (influenza, the common cold, strep throat, etc.) you may want to change your filter as soon as the illness has been treated so that the germs do not continue to cycle through the ventilation. Q5. How often should I change my filters? Your filter should be changed regularly every 1-3 months, on average. If someone in your home has been sick with an airborne illness (influenza, the common cold, strep throat, etc.) you may want to change your filter as soon as the illness has been treated so that the germs do not continue to cycle through the ventilation. Q6. What should I do if my heater or air conditioner is making an unfamiliar sound? Take note of what kind of sound your unit is making. Shut the system off and call Summit Heating and Air Conditioning at 302-378-1203 or 410-398-3233. There can be a variety of reasons why your unit is making a different sound and needs to be diagnosed immediately by a professional. Q7. What should I do if my air conditioning unit is frozen? Shut your air conditioner off as soon as you notice that it is no longer cooling or is beginning to cool less effectively and then call Summit Heating and Air Conditioning at (302) 378-1203 or (410) 398-3233 to schedule an appointment with a technician. The unit needs to thaw out before the problem can be diagnosed and repaired. If you do not get an appointment the same day that you noticed the unit freezing up you can let your unit thaw overnight by itself but do NOT turn it back on before the technician arrives. If your appointment is the same day it is recommended that you switch your thermostat dials from "COOL" to "OFF" and also from "AUTO" to "FAN". By following these steps your unit should thaw out quicker and allow for the technician to properly diagnose and repair the problem. Q8. What if my heater is not running at all? If your heater is not running there are a few things you can do before scheduling an appointment for repair. Check to see that the main switch to the unit is on. If the switch is off simply turn it on and this should rectify the situation. Check your breakers. If they have been flipped then you should just need to flip them back. If there is snow on the ground you are going to want to check your outside vent pipe to make sure the area is clear from snow. If snow is blocking the opening of the vent pipe not only will it cause your system to not operate but can be dangerous, causing carbon monoxide to back up into your home. If after checking all of these recommendations your unit continues to not operate call Summit Heating and Air Conditioning at (302) 378-1203 or to schedule an appointment for a technician to come to your home and diagnose and repair the problem. Q9. Should I cover my outside unit in the fall and winter months? It is recommended to cover your outdoor unit during the months that it is not in use. However, you want to make sure that you only cover the very top portion of the unit to keep debris from falling into it. You want to leave the sides open to continue to allow airflow through the unit. Inhibiting airflow could cause irreparable damage to the unit. Q10. What does SEER mean? Seasonal Energy Efficiency Ratio (SEER), simply put, is a measurement of efficiency for air conditioning systems and heat pumps. The higher the SEER is the more efficient the unit is. Q11. What does AFUE mean? Annual Fuel Utilization Efficiency (AFUE) is a measurement of efficiency for a heating unit. The higher the AFUE rating the more efficient the unit is. If you’re looking for a reliable company to install your new air conditioning system, give us a call. Our 24/7 professional service will ensure your needs are met. We offer reliable name brand equipment and the occasional installation special, so contact us for up to date pricing for all A/C services. Failure to maintain your A/C unit could lead to bigger issues. Tune-ups are a great opportunity to identify and resolve smaller issues before they turn into bigger problems. We provide air conditioning repair services for all makes and models of a/c systems and heat pumps (including geothermal and mini split systems). Our repair services are available 24/7, 365 days a year, including holidays! We use up-front, honest pricing with no hidden charges - ever. Our technicians come with years of hands on experience as well as extensive, ongoing training and will solve your cooling problem, whatever it takes! When temperatures are on the warmer side, you rely heavily on your air conditioner to keep you comfortable. There is nothing pleasant about your air conditioner breaking down during the hot, humid days of the summer season. Depending on the age of the home occupants, air conditioners are a necessity during extreme temperatures as they can potentially be dangerous to the elderly. Because there are many components that make up the A/C system, there can be a variety of problems that can cause your air conditioner to malfunction. It’s important to have an experienced and reliable air conditioner company that you can count on for your A/C services. Maintaining your A/C system will ensure energy efficiency. Enhanced energy efficiency will save you money on your monthly energy bills. It’s important to be sure the air quality in your home is safe; poor air quality can have harmful effects on those living in the home. Routine maintenance on your air conditioner will provide a safer, healthier home environment for the home occupants. Don’t get stuck worrying if your A/C system is going to make it through the warm summer months. Regular maintenance will wash your worries away about unexpected breakdowns, emergency repairs, fire hazards, etc. Don’t make your A/C work harder than it has to. If your equipment is able to function without overworking, it will consume less energy and be more environmentally-friendly. An air conditioner is made up of three different components: a compressor, a condenser and an evaporator coil. The condenser is the unit located outside of your home; the compressor is located inside of this. The evaporator coil is located in the unit inside your home and is also typically part of the heating system. Refrigerant enters the compressor as a cool, low-pressure gas. The refrigerant is then compressed and sent out as a hot, high-pressure gas and flows into the condenser. The fan in the condensing unit activates to help the heat disperse quickly, and the refrigerant leaves the condenser cooler and liquefied. The liquid goes into the evaporator coil through a very narrow opening where the pressure then drops, and the liquid begins to evaporate into a gas. As it makes this transformation back to a gas, it separates the heat from the surrounding air and begins to blow the cool air through the ventilation throughout your home. How often should I have maintenance performed on my air conditioner? It is recommended that your air conditioner undergo maintenance at least once a year. Sticking to this schedule will ensure that your unit runs efficiently, while possibly reducing your costs in the long run. The average lifespan of a central air conditioner is approximately 12-15 years. To keep your unit running efficiently, it’s essential to perform regular maintenance. What if my air conditioner is running, but it is not cooling my house? One of the most common causes of an A/C not cooling properly is a low refrigerant charge. If you want to attempt a few things before calling an air conditioner repair company, try: turning off the power, clean or change the filter, check to see if ice has formed on the coils (melt if it has), clean the condensate drain, and check and clean the outdoor compressor. If after this your air conditioner still is not cooling, call us and we can send out a technician to diagnose the cause of the problem. What to Do Before Calling an A/C Company? Air conditioners can be complex machines as they are made up of a variety of components. When one component of the machine is malfunctioning, it can disturb the cooling efficiency as a whole. If your A/C system isn’t functioning properly, try these troubleshooting tips to see if it’s something you can fix on your own before calling for air conditioner repair. A heat pump is a single unit used for both heating and cooling. If you are using an electric heat pump to heat your home, the process is quite different than gas or oil heating. A heat pump uses a compressor to draw energy from an outside source, such as the air, the ground or ground water, and increases the temperature to a level high enough to heat the inside of your home. The fluid boils at a low temperature, absorbing the heat into an outdoor heat exchanger/condenser. The heat then travels via refrigerant to the indoor coil, where it changes from a high-pressure gas to a liquid state and releases the heat into the air and travels through the ventilation to heat your home. The high-pressure liquid then travels back to the outside condensing unit, changing back into a low-pressure gas, and the process begins again. This process is reversed to create air conditioning, similar to a standard central air conditioner. What should I do if we have a bad ice storm or a heavy snow fall? Carefully remove the ice or snow from the top of the unit only. Never attempt to remove anything from the sides of the unit. Your heat pump has the ability to defrost itself and should eventually thaw the sides of the unit automatically. If the unit fails to thaw itself, you should call a service technician for assistance. How often should I have maintenance performed on my heat pump? Since your heat pump serves the purpose of both heating and cooling, it is highly recommended to have it serviced twice a year — once before the heating season and once again before the cooling season. Should I ever cover my heat pump, such as in the fall and winter months? You should never cover your heat pump. Your heat pump is used year round and needs to be able to take air in through the sides and exhaust through the top of the unit. Covering the unit could cause irreparable damage.